You can access some of the most interesting city and urban planning news stories through our City Planning News update. 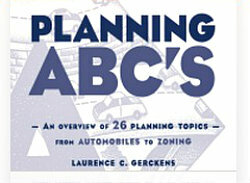 What we've done is select about 90 individuals and organizations who, over the past year, we've found to post the most useful planning-related news via Twitter. You'll see a selection of their posts (aka Tweets) over the past 24 hours -- often with links to online articles they're referencing. 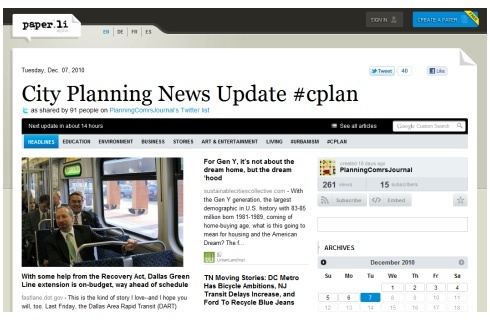 City Planning News Update provides a remarkably convenient way to quickly scan news that will be of interest to both professional and citizen planners. Take a look at today's edition (the screenshot below is a sample of a past edition). 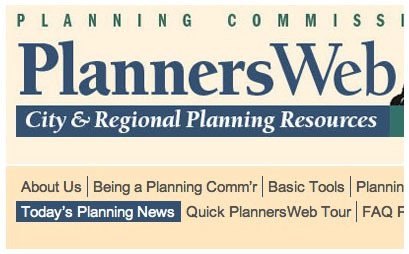 If you like, you can also subscribe and receive a link to City Planning News Update by email when it comes out every day (it's free; just go to City Planning News Update and use the blue subscribe button on the upper right side of the page). You can also access it from the top left portion of our Menu Bar. Obviously, not every story is going to interest you. But my bet is that you'll spot at least a couple of interesting stories most every day. Again, the best way of finding out if this will be of value to you is to check it out for a few days. Then, if you find it useful, sign up for a convenient, and free, email subscription.